Not sure if we have this one.. courtesy Granvilles in Paeroa. 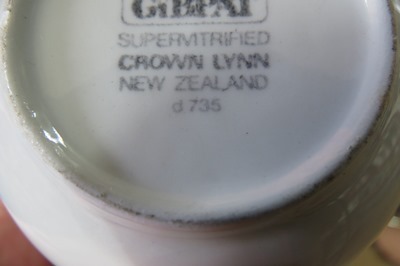 She has a good range of Crown Lynn and some other NZ pottery. For some reason I never saw this post Val ....? 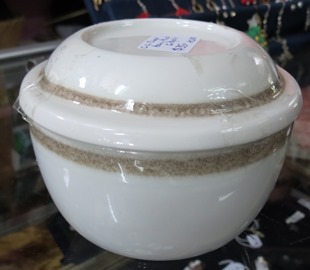 This is from the Bristile Ware range and is shape 7621 lid 7622. So far only the pattern number alerts us to this ware .... d 735, but this will be range for a specific place and will have a pattern name. 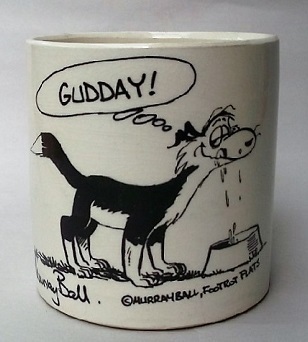 Bristle ware is 1983 - so the deco book would not have this in there.... Unless there are some price leaflets around from the 80's ? ?